The Feniex Typhoon Handheld integrated siren/controller features 7 buttons for siren tones and 6 programmable buttons for external lighting. Built into the handheld controller is a microphone for PA capabilities. The fully integrated system makes it easy to have one unit control your siren and lighting. Perfect for POV and undercover vehicles that don't require all of the outputs of an all-in-one controller like the Feniex 4200 . You can maintain a cover look by hiding the amplifier under a seat leaving only the controller exposed, or tucked away in the center console of glove box. It comes standard with 21 selectable tones including the popular ECTO-1 and Bad Boys theme song! 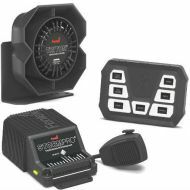 The Storm Pro boasts 130 decibels of thundering sound and includes the option for dual-tone capability, the perfect combination for emergency vehicle siren users who need a lot of bang for just a little buck. 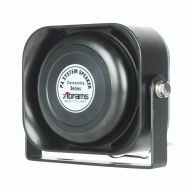 Super compact and rugged, the Storm Pro 200-Watt siren can be mounted in the tightest locations, making it the leading siren in the emergency warning industry. 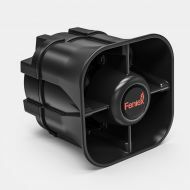 The Storm Pro boasts 124 decibels of thundering sound and a slim, low profile, the perfect combination for emergency vehicle siren users who want a big boom, but don't have much room. 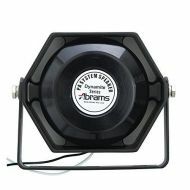 Super compact and rugged, the Storm Pro 100-Watt siren can be mounted in the tightest locations, making it the leading siren in the emergency warning industry.